Mad Timothy- A Very Snug Joiner. First ever release for this previously unknown late ’60s/ early ’70s acetate, rescued from a thrift store in Chicago. Damaged heavy blooz–psych in the vein of Blue Cheer, Majic Ship, Mount Rushmore, Houston Fearless, Apryl Fool, Sweet Slag, Mutzie, Aum, Screw, or a wasted teenage Canned Heat. 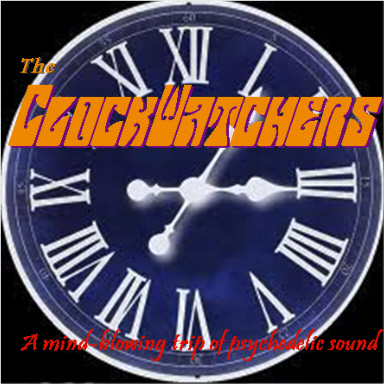 The Clockwatchers: That great Psych band from the Pacific Northwest that Gear Fab released on vinyl back in 1999. This time, with all those original tracks plus other unreleased material from 92-93. 22 songs in all!! Baxter's Glass Eye, Locksley Hall, Tongue II, Penny Nichols, Euclid, and more! !